With properties in both Melbourne and Perth, Crown Hotels offers a choice of six luxury hotels in spectacular locations. Discover Crown’s world-renowned restaurants—including Rockpool Bar & Grill, Nobu, and Bistro Guillaume—stylish bars, endless shopping, and opulent spa and leisure facilities. 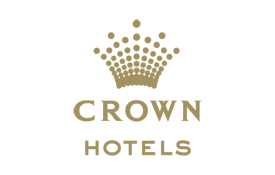 Earn Skywards Miles on luxury hotel stays in Australia with Crown Hotels. You can earn Miles at Crown Towers and Crown Metropol Melbourne and Crown Metropol Perth based on your membership tier and room rate. The number of Miles you earn will depend on your room spending and membership tier. Emirates Skywards members are eligible to earn Miles based on room spending only. Members can earn Miles for stays at Crown Towers Melbourne, Crown Metropol Melbourne, and Crown Metropol Perth. Stays booked at special rates offered through travel agencies or special rates offered to airline crew, airline employees, travel agency employees, reward partners, government employees, or gaming company employees.